Formsprag Clutch has supplied LLH (Long Life Holdbacks) for use on a new coal mine conveyor belt system which feeds an existing preparation plant at a facility located in the Eastern US. Eight standard LLH units were installed at transfer points on the overland portion of the system, while two custom-designed units were utilized in the inclined conveyor section which conveys coal from the mine to the surface. LLH Series Backstopping Clutches feature sprag technology and are specifically designed for conveyor headshafts, or any other machinery where reverse rotation must be positively prevented. 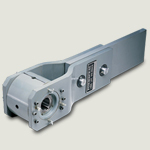 LLH units come ready to install and are equipped with a one-piece, quickly detachable torque arm. Grease labyrinth protected oil seals prevent airborne contaminants from reaching internal seals and parts. Oil lubricated, the clutch assembly also includes an oil sight gauge with filter breather, for ease in checking lubricant level. Standard smaller LLH models were positioned along the length of the overland conveyor, which operates at approx. 800FMP. The inclined portion of the conveyor is driven by two 1500 HP motors combined with two speed reducers mounted to the drive pulley. 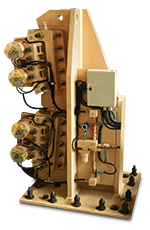 Two LLH units were mounted horizontally on the speed reducers’ outboard, low-speed shaft extensions. Due to the limited mounting space on the existing speed reducers, standard 17” width 3500 LLH models would not fit. To meet this challenge, Formsprag engineers custom-designed a narrow-width version. reliable conveyor holdback solutions for mining applications, adapting a standard design to incorporate advanced monitoring features, and their ability to design a custom width unit to meet customer-specific installation requirements. Model 3500 LLH units feature a holding torque capacity of 375,000 lb.in. Twiflex Ltd./Hilliard Corp. (USA) supplied VMS-DP grinding mill braking systems to Metso Minerals Industries, Inc. for installation on two Boliden Mineral AB, Autogenous (AG) gearless driven mills located at the Aitik mine in Northern Sweden (the largest open pit copper mine in Europe). The last five years have seen an increasing trend towards fewer comminution machines per grinding line with the result that units have increased considerably in capacity as operators look for even larger equipment for greater economy of scale. Mills with these larger drive capacities are exclusively driven by a ‘wrap around’ ring motor (Gearless Mill Drive) which required the development of more advanced braking systems. The Twiflex VMS-DP caliper is designed specifically for mine grinding mill installations providing both static and dynamic braking functions. In static operation the braking system is used to hold the mill during liner replacement and general mill maintenance. For dynamic operation the system can operate in two modes, stopping the mill from full speed in an emergency or providing inching/creeping functions in the event of bearing lubrication problems or power failures. 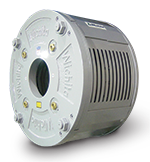 The VMS-DP brake is spring-applied, hydraulically-retracted, suitable for disc/flange thicknesses from 117mm to 130mm. It can be used on installations with a braking path of at least 7.6m outside diameter (there is no upper limit) and 7m inside diameter. The continuous casting floor area of a Scunthorpe UK plant is situated some 10 metres below ground level. This means that the cast blooms need to be raised before being distributed to the stock pile or hot mills. The lifting process is performed by a cross transfer conveyor which elevates the blooms from the lower run out roller table to the discharge bank table situated at ground level. The conveyor consists of six heavy duty chains which are driven by six 1.2 metre sprockets. These are mounted on a common drive shaft which is driven in each end through gearboxes by two DC motors rated at 90kW at 1480 rpm. A total of six blooms, each weighing over 10 tonnes, can be raised at any one time which means that safe locking and holding control is of paramount importance. The original installation was fitted with brake motors, but these were found to be unreliable. The gearbox anti-run backs were performing every holding duty rather than acting as an emergency back up, and this caused problems. Twiflex was consulted to provide an effective braking system and have installed on each motor a fail safe EMX caliper acting on a 610 mm disc. Twiflex was chosen in preference to three other suppliers because of their compact design, technical features and proven record of reliability in all of the company’s plants. The Australian coal industry is recognized as the most efficient in the world. To achieve and maintain this position they invest in modern, high quality technology to control their coal handling plants. Conveyor braking control is a prime example where the industry relies on experts to engineer the most advanced systems and ensure safe and controlled braking of expensive belting. Premier Collie is situated some 200 kilometers south of Perth in Western Australia where two conveyors transport 600 TPH from an open cast mine to a nearby power station. The first stage of the handling system consists of a 5 kilometer long belt transporting coal from the mine to a transfer station. A shorter 2.5 kilometer belt then feeds to the stockpiles of Western Powers’ Collie Power Station. Two Twiflex spring applied hydraulically released VCS type calipers acting on a meter diameter disc are installed on the tail drive of each conveyor. They are used to bring the system to a safe and controlled stop and to act as a holding brake when the conveyors are stationary. The supply included power pack and monitoring units and the installation was commissioned by the Twiflex approved agent. An industry leading designer and manufacturer of cranes chose Twiflex VKSD disc brakes to be used on its boom hoists. Each spring applied brake can generate a braking force of 119kN and requires a pressure in excess of 160 bar to effect release. In the event of a power loss or failure of the transmission drive fromthe gearbox to the boom hoist drum, two “failsafe”spring applied, hydraulically released type VKSD disc brakes act directly on the flange of the drum. They lock and hold a maximum load of 70 tonnes some 90 metres above the dockside. Hydraulic pressure provided by a small power pack consisting of a 1.1kW motor mounted on a tank top driving a positive displacement pump. This dischargesits flow through a check valve to an accumulator and is automatically switched off when the system pressure is reached. Two solenoid valves are employed; one on the flow line into the brake and one on the discharge side. Under normal hoisting, with the drive motors energized, the valve on the discharge side is closed and the input flow valve is open, which the oil to maintain the pressure required to keep the brake springs compressed and the brakes released. The operating solenoids for both valves are connected to the hoist drivemotor circuitry and, when it is de-energized, opens the discharge valve and closes the input flow valve. This immediately releases oil from the calipers and arrests the input flow allowing the springs to force the brake pads against the drum flange. Twiflex VMSDP modular brakes are providing up to 35 MNm of total braking torque on two 8-meter ball mills on South Africa’s largest platinum concentrator at Angelo Platinum’s Mogalakwena (previously PPRust) mine near Mokopane. The brakes are required to control (stop, hold, position) each ball mill drum which presents a monumental total inertia of 14,195,400 kgm2. Each of the ball mills utilizes six VMSDP brakes, providing a total braking force of 4.4 MN or 737 KN per brake. This braking force allows the new concentrator to expand milling capacity at the mine by 600,000 tons per month, producing an additional 230,000 ounces per year, more than double previous production volume. While the brakes are able to provide the world’s ultimate emergency braking capability in this application, the operator requires a soft braking option to avoid equipment damage. To stop the mill between 6 and 10 seconds, the brake pads come onto the disc quickly at zero force, with subsequent controlled force to provide the desired stopping time. The Twiflex system provides both static and dynamic braking functions. In static operation, the system holds the mill for liner replacement and general mill maintenance. In dynamic operation, the system can stop the mill at full speed during emergency or it can provide controlled stop in inching/creeping mode for bearing lubrication problems or power failures.